Are you looking for a great-looking knife that will get attention but will get the job done every time? 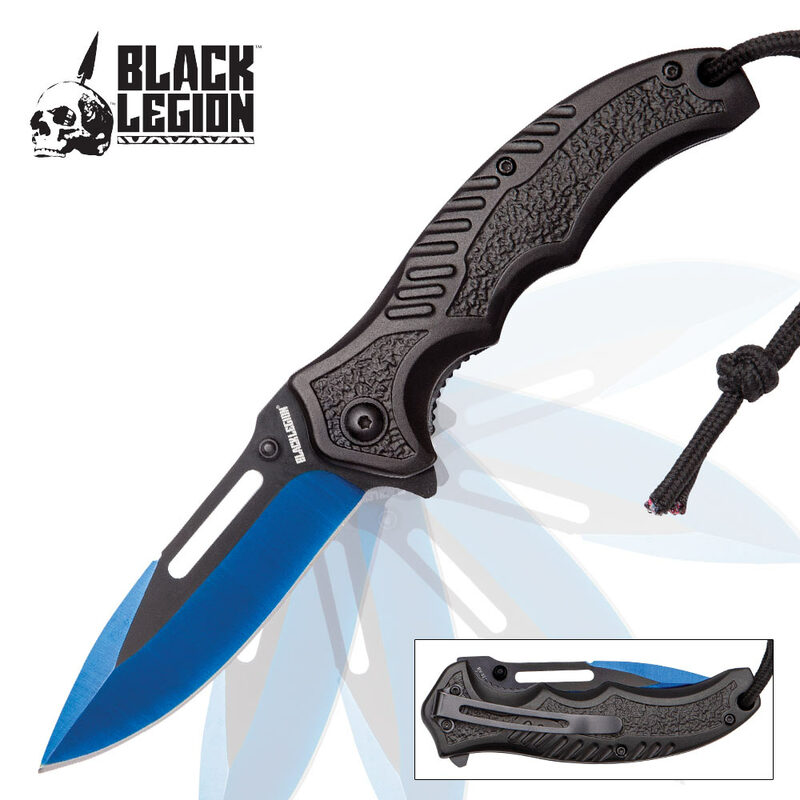 Black Legion's Blue Assisted Opening Pocket Knife is just what you're looking for! Continuing its legacy of excellence, Black Legion has produced a pocket knife which features a striking blue and black two-tone blade. The sharp, 3 1/2" 3Cr13 stainless steel blade can be quickly accessed with the spring assisted opening mechanism. 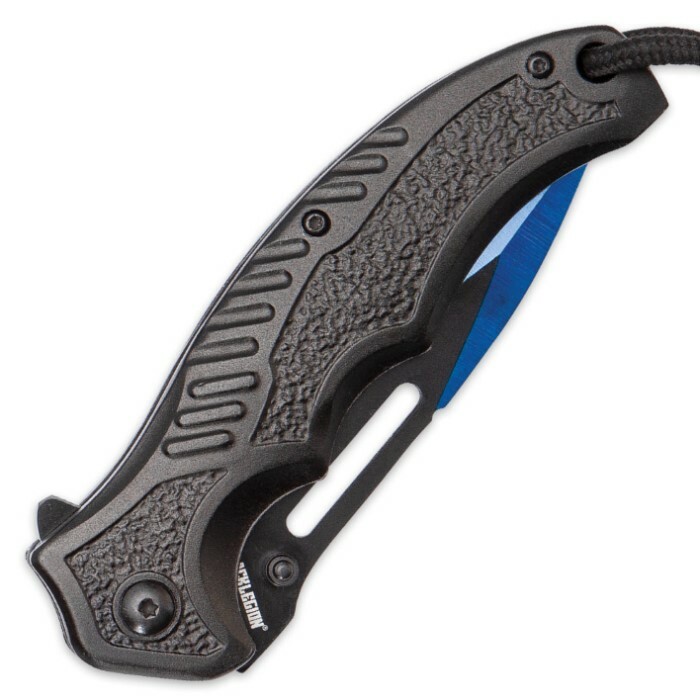 The knife has a sturdy, black aluminum handle which features a lanyard hold with cord. There is also a pocket clip for ease of carry and the pocket knife is 4 3/4” closed.